My readers know I have been reporting on Canon's development of a full frame mirrorless camera for about two years now. There is little doubt this camera is coming. Even Canon's arch rival in this space, Sony, has acknowledged it and expects the arrival soon. The real question is will Canon finally leverage their greatest advantage over Nikon, Sony, Leica, etc. and announce a professional, EF mount, full frame mirrorless camera. Canon is rumored to be testing their full frame mirrorless camera with 3 different sensors - 24MP, 28MP and 36MP. This is nothing unusual since Canon manufactures their own sensors, they can test different megapixel sensors on the new camera to try and perfect the resolution. I have been calling for Canon to bring to market such a camera for over two years. Canon must think outside the box and comfort zone on this new body. The camera should be called EOS-1M, must have the ability to accept all EF mount lenses. Ideally, the ergonomics will be similar to the EOS-1 body style, with a new sensor higher than the current EOS-1D X Mark II but lower than the present EOS-5Ds in megapixels. A burst rate of around 15 fps, comes with 2 or 3 types of card slots - SD, CF and CFast, a built-in flash and weighs less than 2 pounds. This is certainly doable given the engineering prowess of Canon. Enough of the tinkering around with the EOS-M, APS-C based models. Canon has a few full frame mirrorless prototypes in their labs. They have been surveying professional photographers and want to get it right the first time with this announcement. Real life testing of these cameras have started already. Canon Inc. is conservative and rarely tries to be the first in introducing new stuff. Rather, they try to 'perfect' the equipment first before bringing them to market. But there is a risk in waiting too long. In an interview with Canon's CEO, Mr. Fujio Mitarai earlier this year, he intimated he wants the company to be more innovative and nimble. SankeiBiz, the Japanese business news outlet reported Nikon's full frame mirrorless camera project is advancing at a 'break neck' speed and they plan to announce their development plan during the Photokina Show in September in Germany and launch the camera before the end of their fiscal year, which ends March 2019. 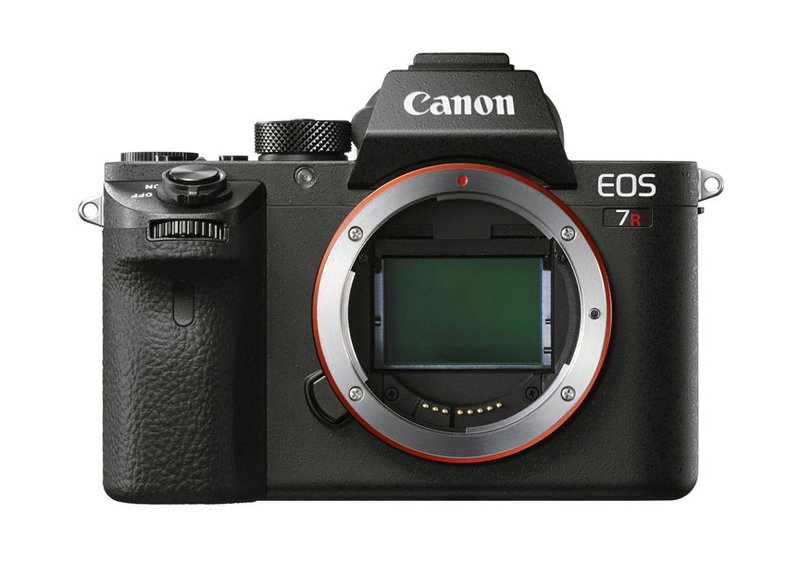 Canon stated last month that the company may be ready to cannibalize the sales of its DSLR cameras in order to take the number one spot in mirrorless camera sales in Japan. Frankly, I think the low end DSLR and PowerShot cameras are losing sales to advance smartphone cameras anyway but the high end DSLRs like the EOS-1D X Mark II, EOS-5D Mark IV, etc. will hold their own. I will not hesitate to own a profesional full frame mirrorless camera, along side my EOS-1D and EOS-5D series cameras. "Within existing businesses, there are market areas that are growing, such as mirrorless in cameras,” Mitarai says. “In these segments, by launching differentiated products that only we can provide, we will stimulate the market, grow our sales, and secure additional market share. For example, in our core camera business, in addition to our overwhelming share of the DSLR market, we will go on the offensive and work to expand our sales in the mirrorless camera market, which is exhibiting remarkable growth . . . . This will allow us to reach our goal of 50% market share of the entire interchangeable-lens camera market." "This is just my personal opinion, but I think that maybe by next year’s CP+ you’ll see full-frame mirrorless cameras from Canon and Nikon. I think by then they will be participating in this market. Just look at our technologies, like eye focus. All of that data comes from the imaging sensor. In DSLRs, the data comes from separate sensors. The main imaging sensor is blanked out, 90% of the time by the mirror. The sensor is turned off. But the imaging sensor is very important. So if cameras are going to develop, and be more able to capture the moment, manufacturers have to develop mirrorless technologies. So within one year, I think." Any new mirrorless camera without the ability to use the full line of EF mount lenses without an adapter is not going to attract serious photographers who have invested in their extensive EF lens inventory. I am NOT interested in using adapters. On this point, Canon has recently patented a new lens mount that can apparently use both EF-M and EF lenses. The EF-M mount has 9 contacts, the EF mount has 8 but the new mount only has 7 contact points. This may be Canon's solution to the upcoming full frame mirrorless camera.